Nativo is a native advertising platform with content served within publisher editorial streams, matched to the look and feel of publication, fully integrated and consumed on the publisher site, across screens to deliver, engagment rates, monetization, and more. "Solid Product for Publishers Who Do Native Content "
It breaks down information like estimated revenue, average daily revenue and impressions served so our team can quickly reference these numbers, as needed. Also, the interface is extremely clean, easy to read and user-friendly. I would recommend this product to other publishers who run native products/content. We are able to determine how profitable running certain types of ad units and sponsored content are to our organization. Nativo has been a great digital performer in the Native space. Campaigns have performed very well and customer service provides great insights and access to a dashboard. Overall I would say they are one of the better performers that I've tested in the Native space. Some metrics we cannot track with 3rd party ad servers which requires us to rely on reports directly from Nativo. Although this is very common with Native vendors, it can make reporting more complicated. Also trafficking assets directly with native vendors can be more of a lengthy process as they don't accept creative to live within 3rd party tags. Another issue that has come up is mobile tracking with Native vendors, but that overall is an issue with display advertising as a whole. A number of digital advertising vendors will claim to offer Native capabilities but Nativo certainly specializes in it. Minimum spends can often be an issue with campaigns that I run, however if you're able to run a test with Nativo I would recommend. They have great customer service and are able to make minimal budgets work. 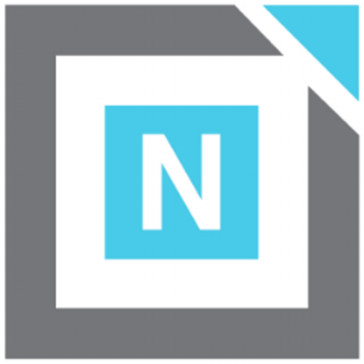 Nativo allows us to have a presence in the Native Advertising space. Ads can live within relevant content to the user and is more likely to engage with it. Native has been all the buzz in the past few years in digital advertising world, Nativo was one of the first partners I used in 2015 that specialized in Native. What Native Advertising solution do you use? Nothing to dislike just yet, our first test campaign launches next week. With our campaign schedule to launch in the near future, my only review is about campaign set up, kick off calls with the teams, can content generated and to date I am pleased. If this campaign produces results, I will be a happy camper. helpful when you don't have a content team within the agency. "Nativo has been a good platform to serve native pieces. " I like the ease of setting up a campaign. The program isn't complicated to use. I don't like that you can't use different fonts and colors. It's a great tool for native content on your site. Clients who want an "editorial" type piece running on our site have the option to because we have Nativo. Even though it's sponsored content, it looks and feels just like a normal article--and clients love it! The performance and the theory behind this native advertising offering. It's as native as I've found through an aggregate partner across media properties. Creative takes some time and back and forth with client to nail down, but Nativo does help with content creation. Utilize Nativo for brand awareness and engagement purposes, content syndication, etc. Although it's an engagement type product, you'll be pleasantly surpised at the backend performance it can drive as well! Brand awareness. We've found that people are truly reading, absorbing, engaging with our brand content, and also, landing on the brand's website. "Highly quality product and a great partner to work with." Programmatic capabilities in the native space that involve click throughs to actual articles, not landing pages. I wish the scale was bigger, reaching more publishers. We are solving a problem with native. Nativo is great at programmatic native with actual articles rather than just native display. * We monitor all Nativo reviews to prevent fraudulent reviews and keep review quality high. We do not post reviews by company employees or direct competitors. Validated reviews require the user to submit a screenshot of the product containing their user ID, in order to verify a user is an actual user of the product. Hi there! Are you looking to implement a solution like Nativo?